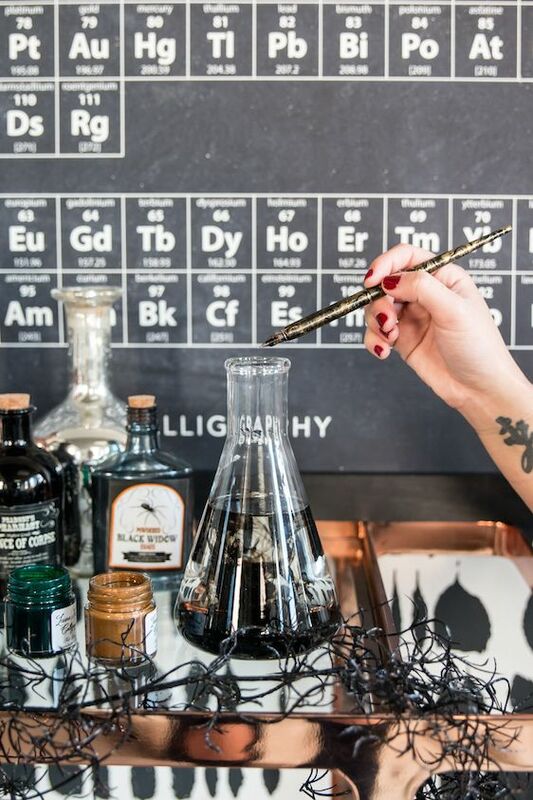 Double, double, toil and trouble! 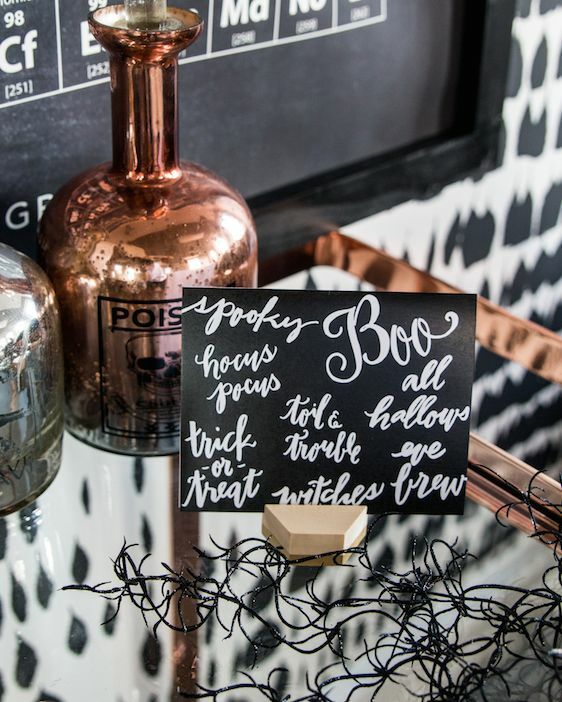 Fire burn and cauldron bubble! 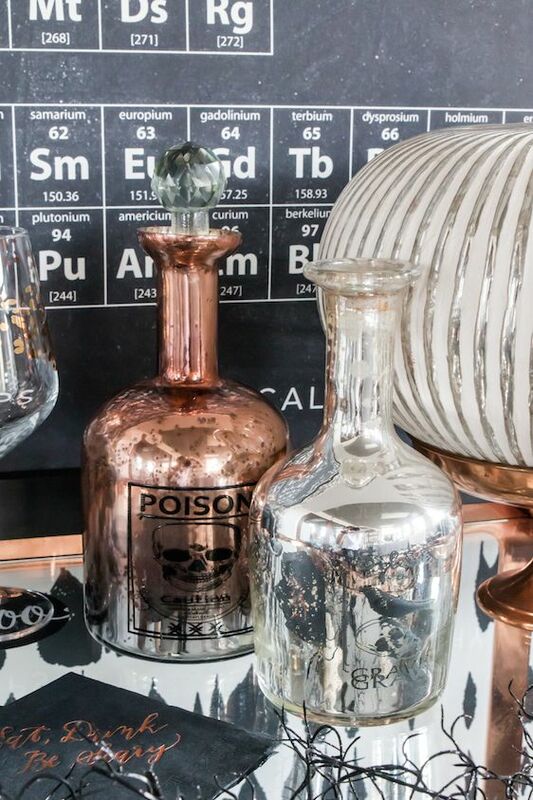 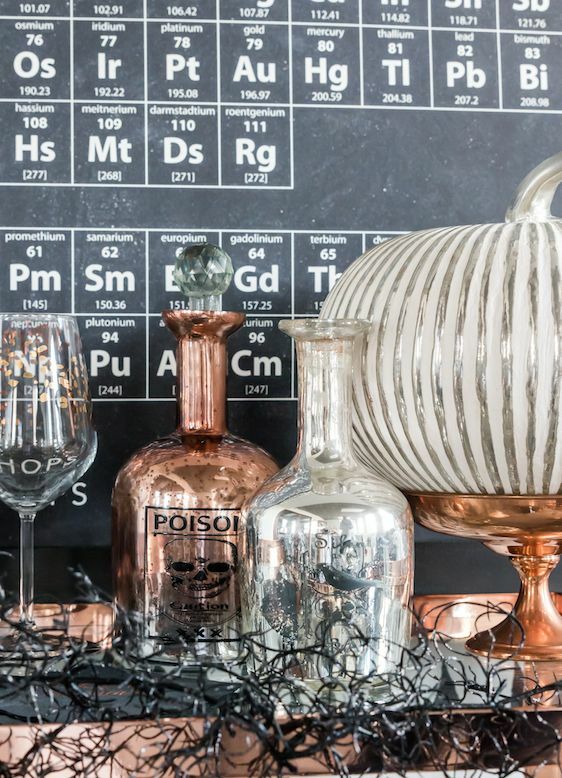 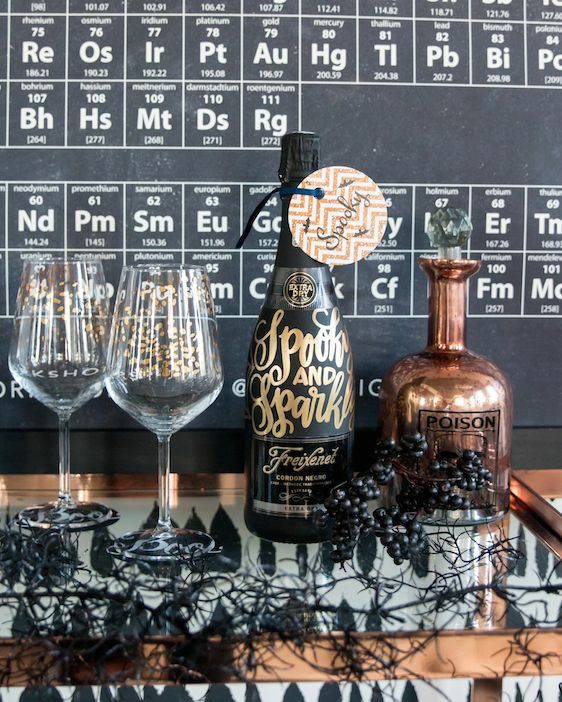 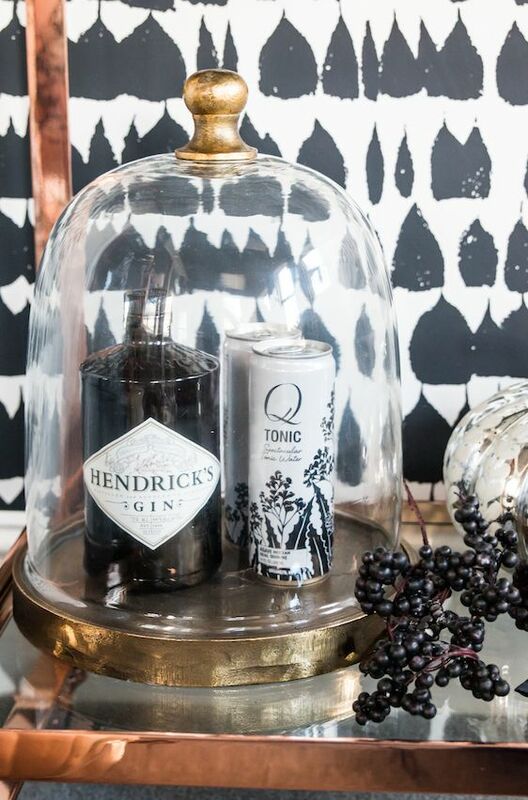 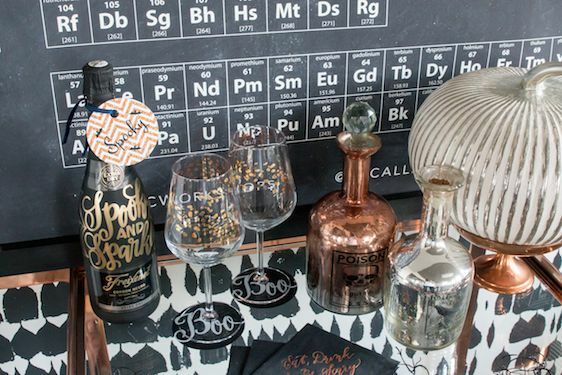 Looking to add some spooky flair to your bar carts this Halloween? 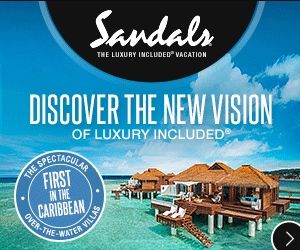 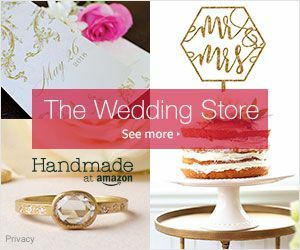 Well, get excited! 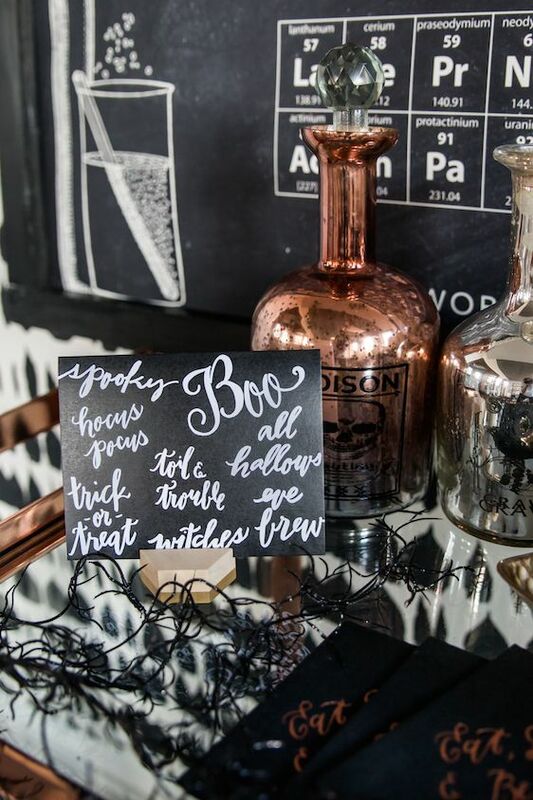 Because Laura Hooper Calligraphy is making doing so a snap! 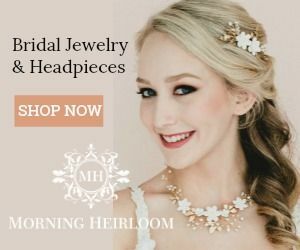 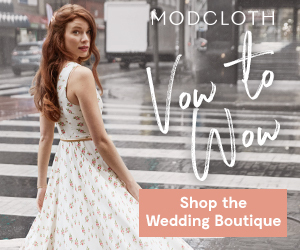 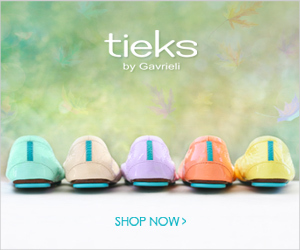 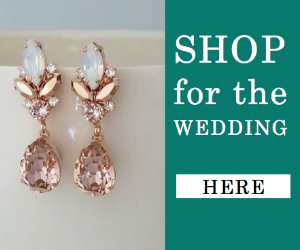 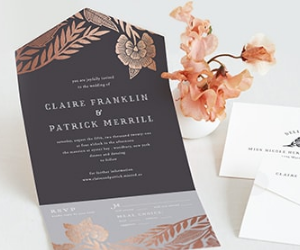 It's a look that's chic and spine-tingling, and perfectly elegant too! 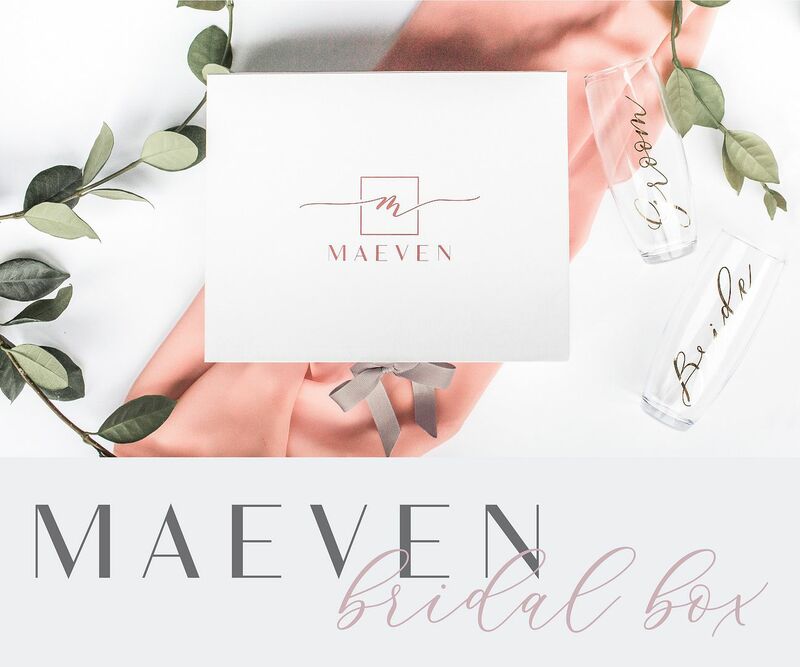 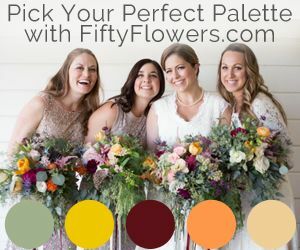 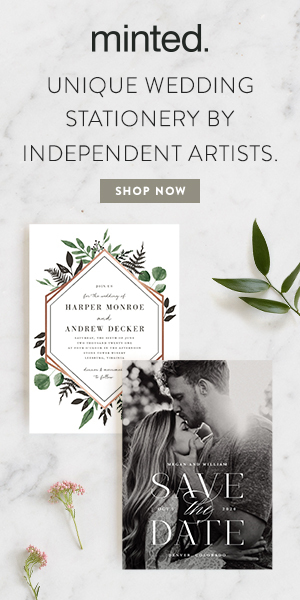 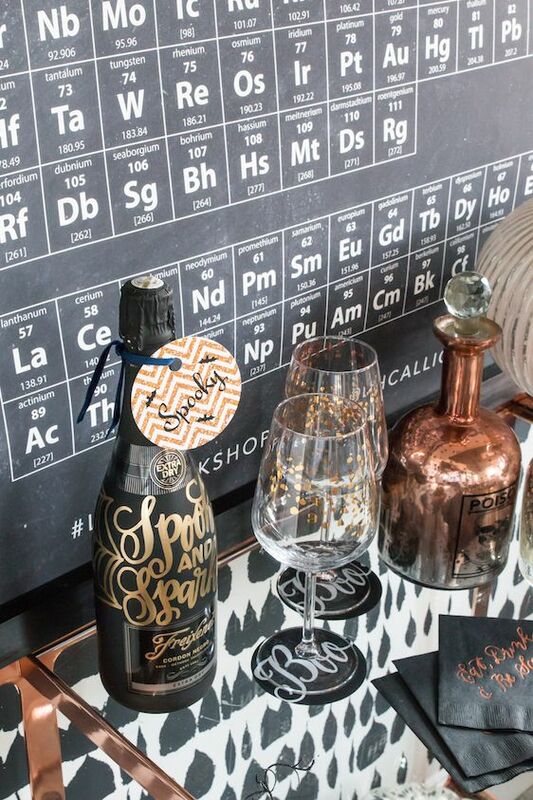 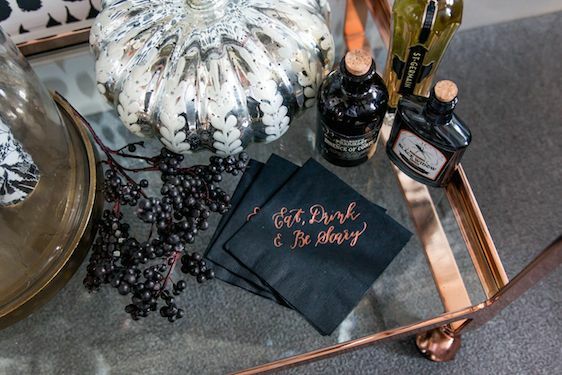 And we're just loving all of the calligraphy accents! 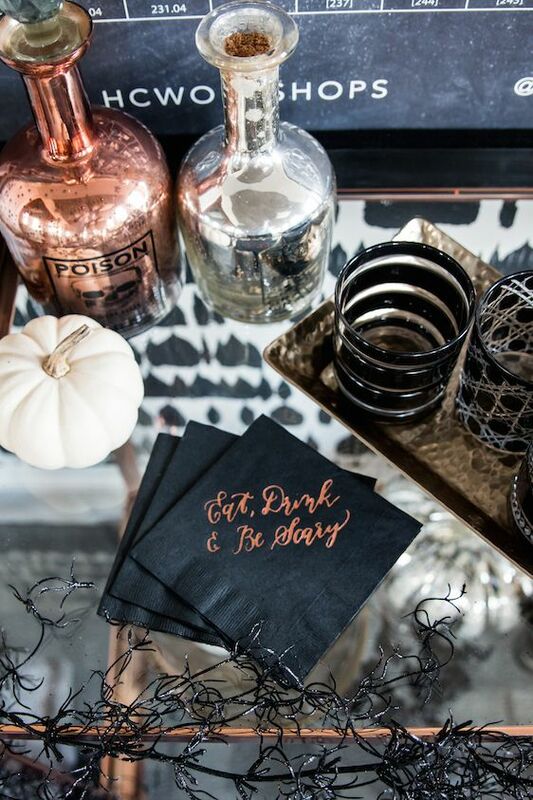 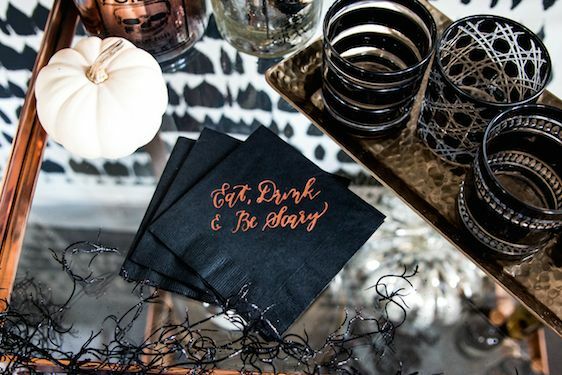 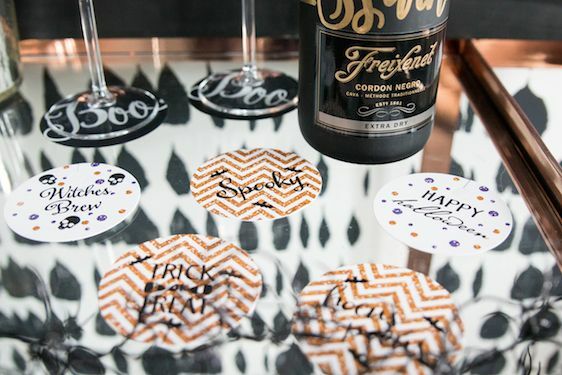 From these gold foiled "Eat, Drink and Be Scary," napkins all the way to these adorable "BOO," coasters — one thing is for certain! 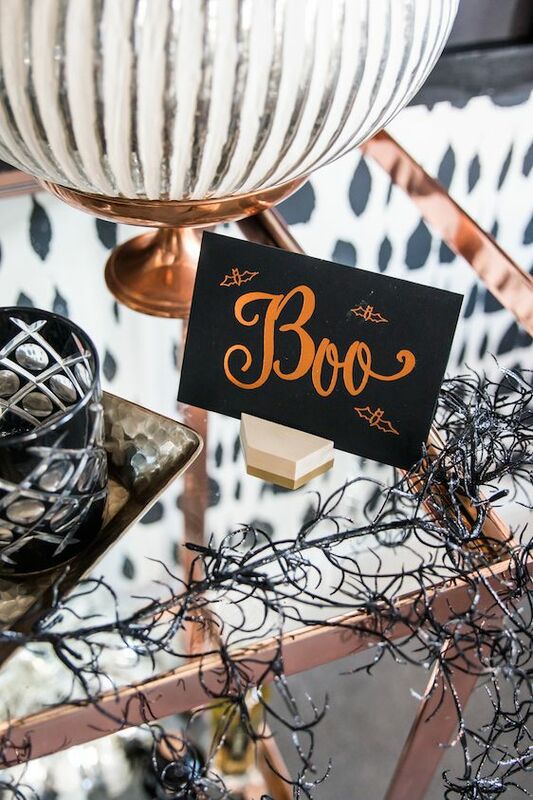 Your Halloween party is sure to be shreik-worthy with the help of inspiration like this from Laura Hooper Calligraphy and Anne Kim! 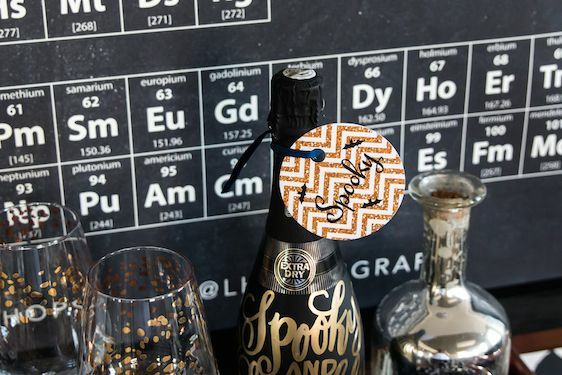 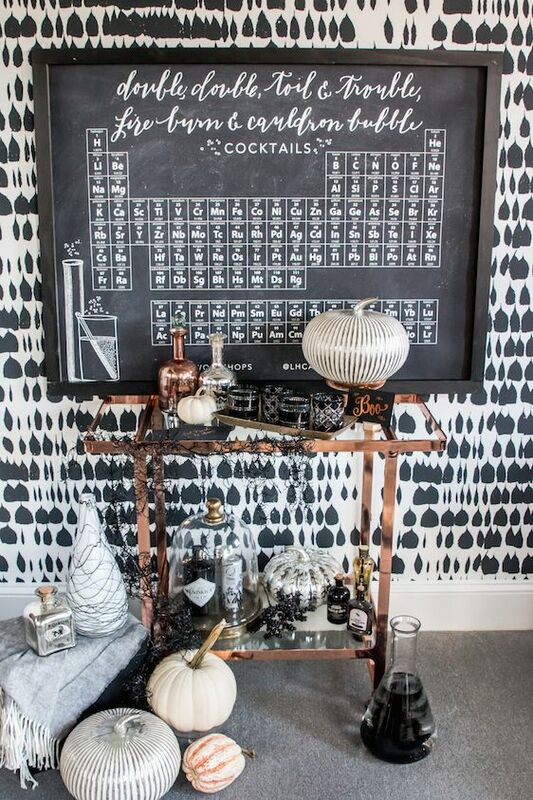 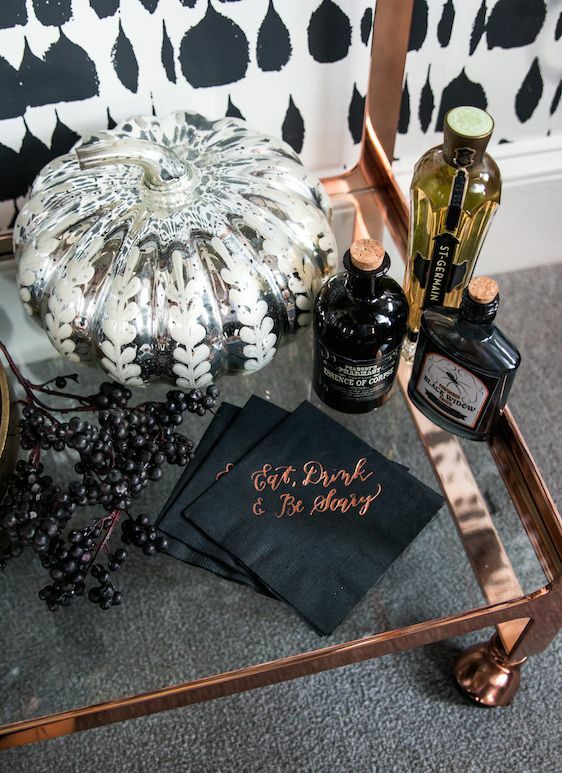 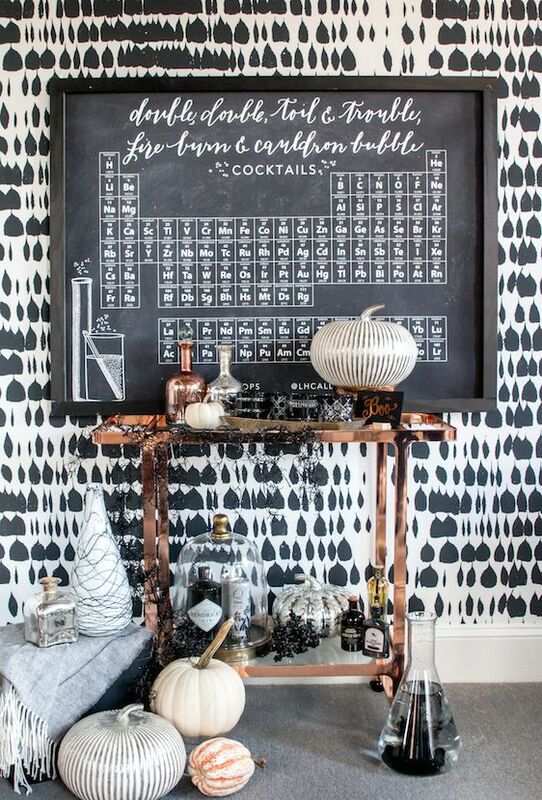 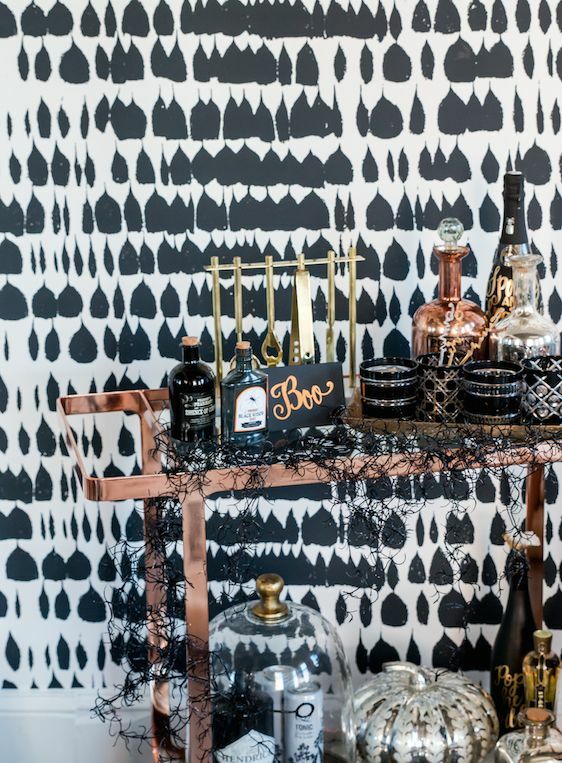 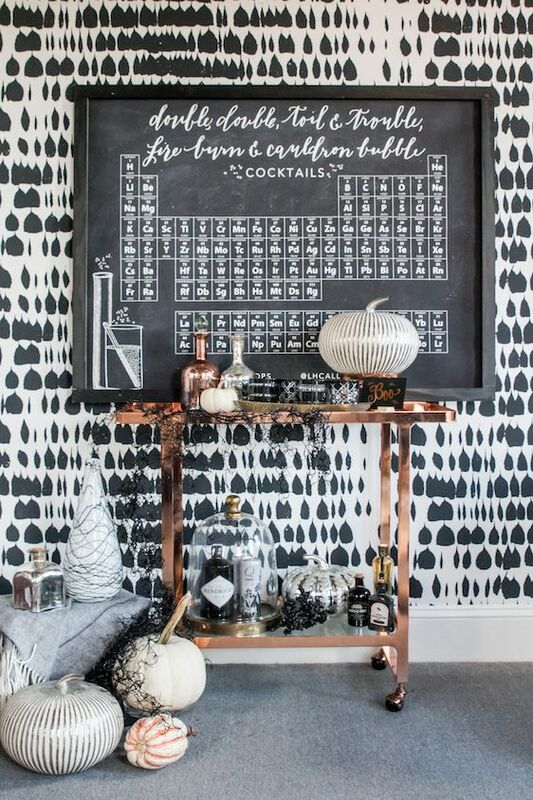 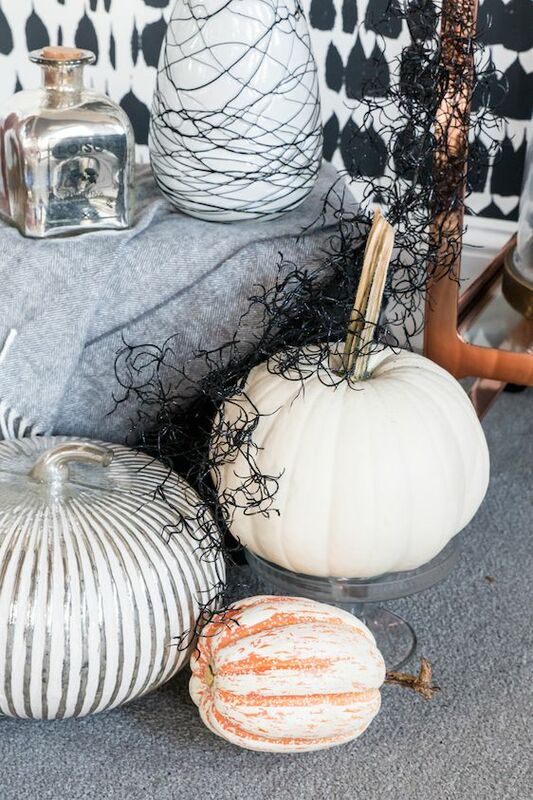 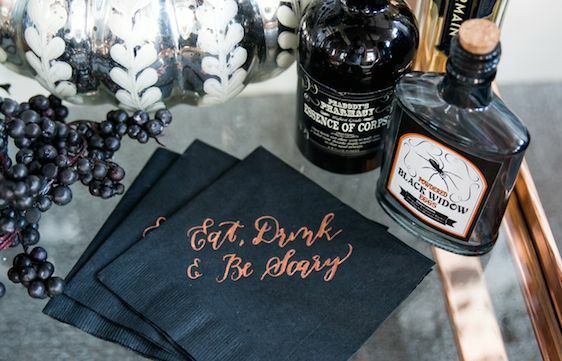 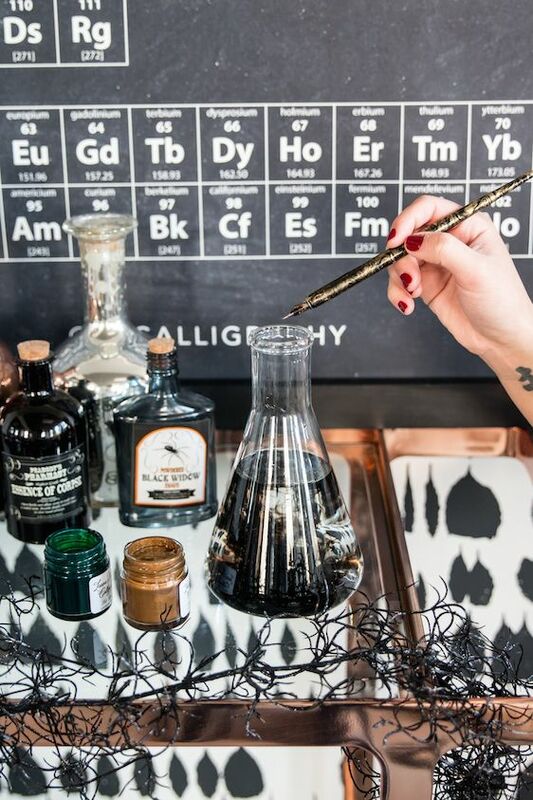 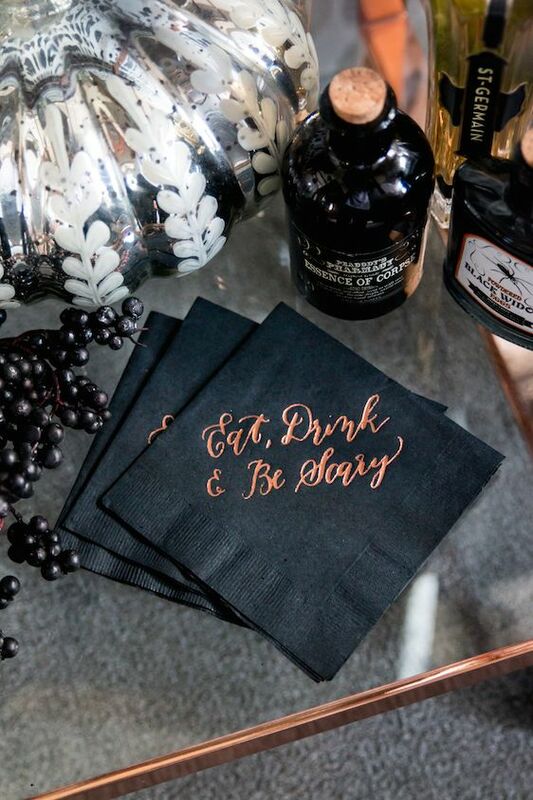 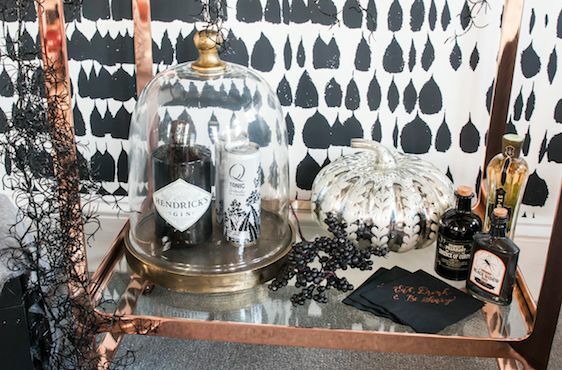 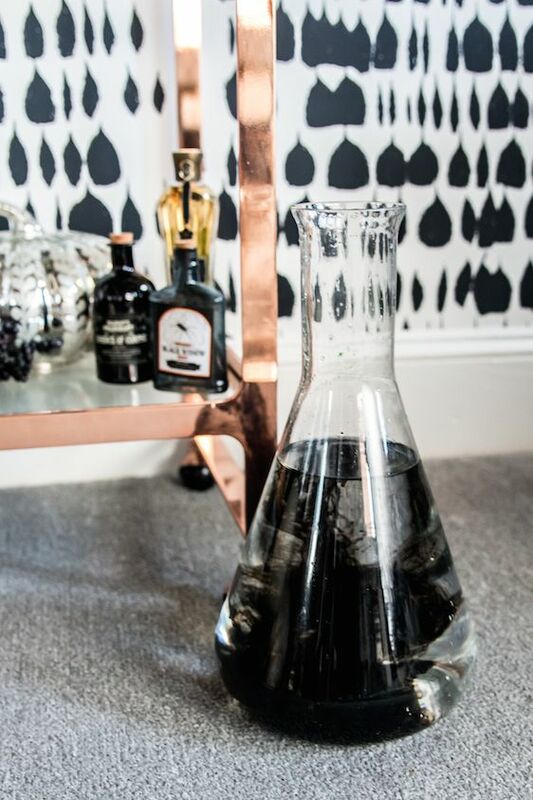 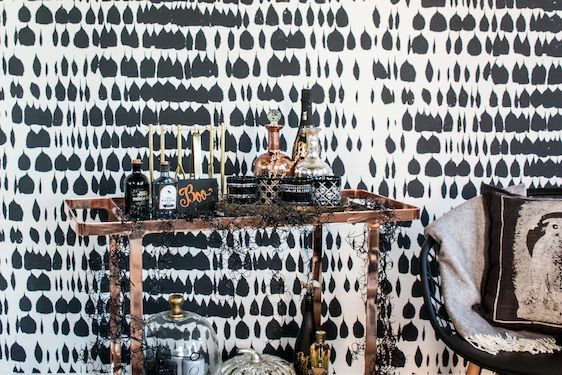 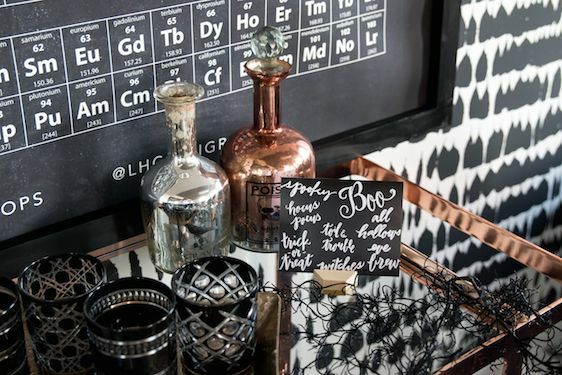 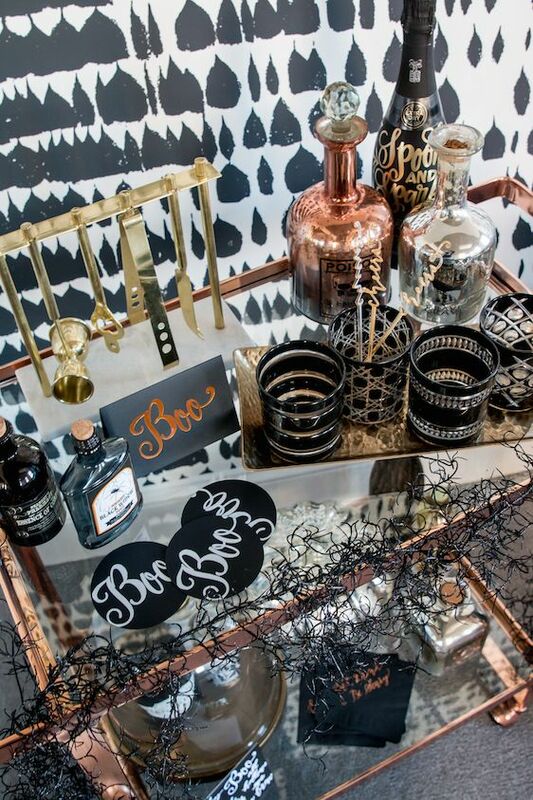 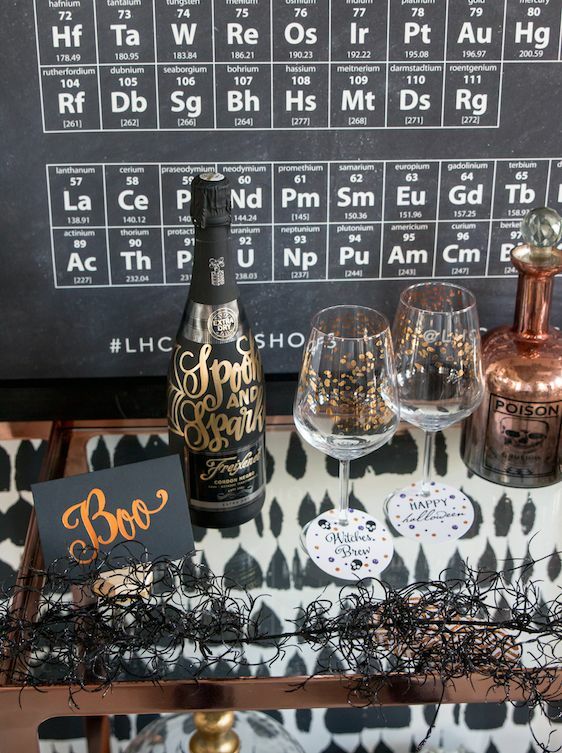 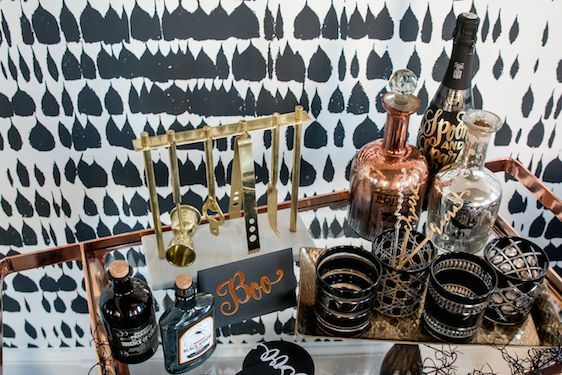 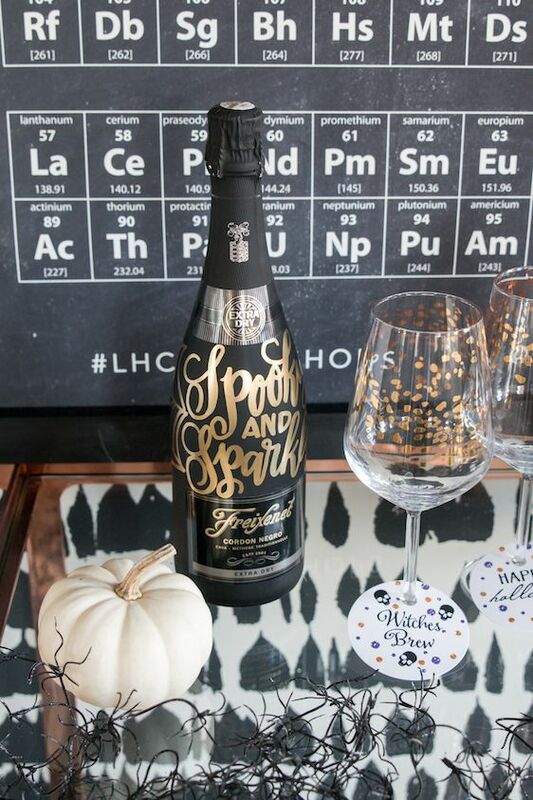 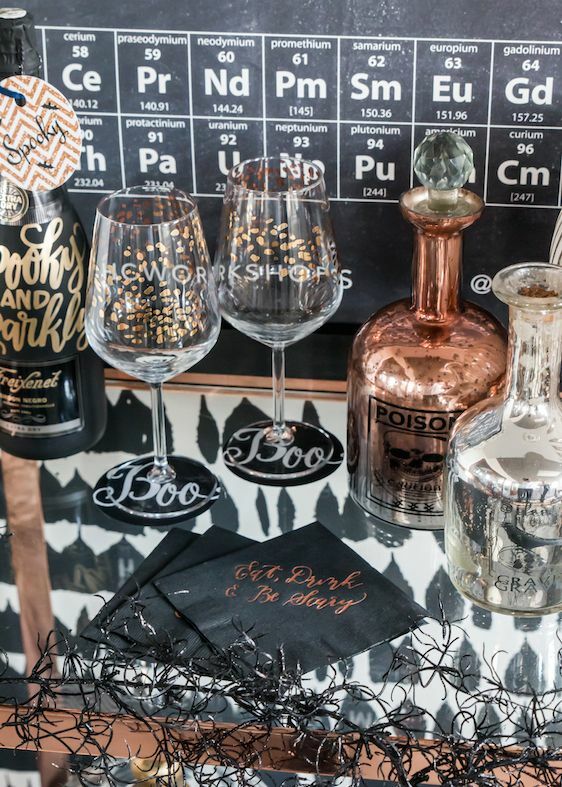 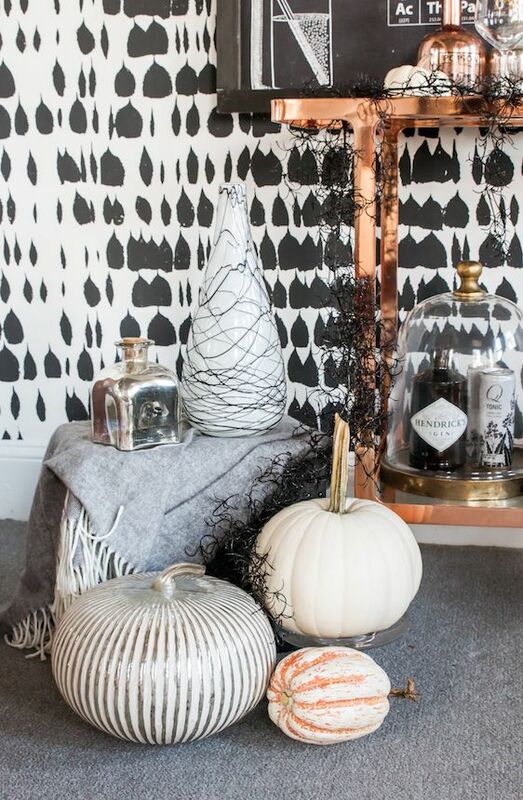 1 One Comment " Halloween Bar Cart Ideas with Laura Hooper Calligraphy "